The Canadian dollar performed fairly well today thanks to positive domestic macroeconomic data and rebounding crude oil prices. The currency fared far worse yesterday, falling after the monetary policy meeting of the Canadian central bank. Statistics Canada reported that the number of building permits rose 2.6% in November from October after falling 0.4% in the previous month. Experts had predicted a 0.5% decline. Meanwhile, the New Housing Price Index remained unchanged for the fourth consecutive month, in line with expectations. 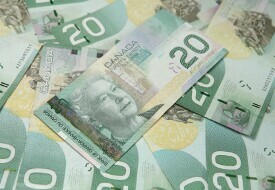 USD/CAD was up from 1.3208 to 1.3228 by 20:09 GMT today, though retreated from the daily high of 1.3259. EUR/CAD opened at 1.5243, rallied to the high of 1.5304 intraday, but pulled back to 1.5210 later. CAD/CHF gained from 0.7375 to 0.7439, bouncing from the session minimum of 0.7346.